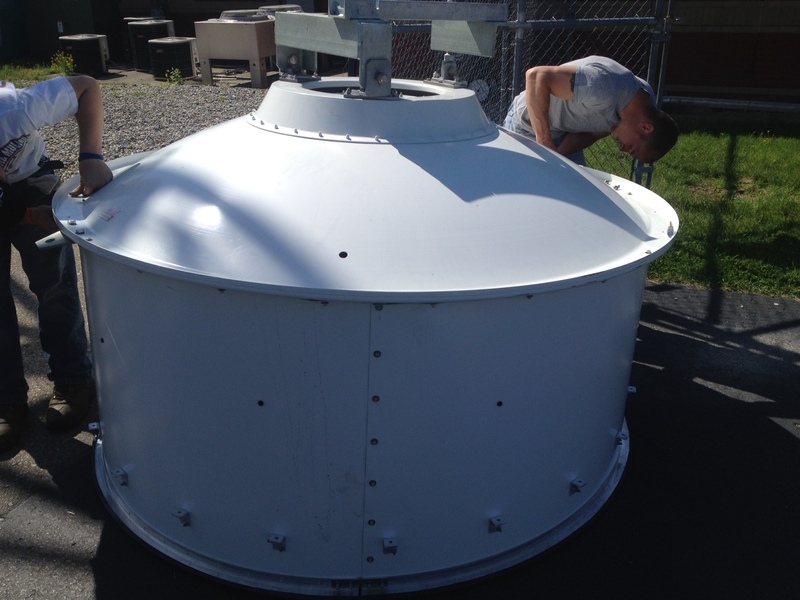 This week Motorola/ERS will be putting up new microwave dishes on the Lapeer and Imlay City towers for the new system. These dish’s will be dual system capable, meaning they will be able to operate our analog and forthcoming digital system simultaneously. Preparation work began this morning and early Friday will be the dish cut-over. We are also in the midst of developing our frequency plan and control channel frequencies for the new system, but nothing is finalized yet. Most of our FCC licenses are in for the 800MHz, 150MHz and microwave systems. Subscriber programming will be coming up soon and templates are being prepared now. We are also still waiting on some state and federal studies to conclude before we can begin construction on the new tower in Metamora and we’re working with local officials in North Branch for our much smaller paging tower to be built there. At this time, we’re anticipating a full system cut-over sometime in September and will realize a new system with 6 voice sites and 8 paging sites to provide excellent county-wide coverage for first responders.